I applied to go to the Quaker Peace and Social Witness Spring Conference because East Garston LM was being challenged by new Attenders! Despite decades as a Quaker, I felt I had become very woolly and a little isolated. I had previously attended days at Friends House and felt very energised by the commitment of the staff from various departments and hoped to be this time too – and was! When I got to the Conference, I soon realised that there were many around me who were much newer to Friends. By the end of the weekend I felt very inspired and full of the confidence to at least know where to look for answers to questions! The Conference commenced with a remarkable Keynote speech on the subject of quiet activism. The speaker, Elsie Whittington, spoke about ‘Breaking the Silence’. She is a feminist, youth worker, Quaker and quiet activist who has been working in the fields of gender and sexuality for several years, researching sexual consent and negotiation with young people. She spoke of the awkwardness, vulnerability and inadequacy young people face when ‘seeking, getting and giving explicit consent’ often using indirect negotiation for fear of rejection. She paralleled this to one’s own fear and reluctance to call out oppressive behaviour, preferring to avoid awkward conversations…as she said, ‘holding beliefs and living them out are quite different’! Following this great start, I attended sessions ranging from ‘What can we learn from African Peace activists about nonviolent campaigning?’ to ‘Making Change Happen in Palestine’ which was obviously hardly covered in a couple of hours each but they gave one a very good idea of the scope of the work of QPSW. We had sessions ‘meeting the Peace workers’ and group feedbacks which gave one plenty of time to pursue questions, and I got taste of the sessions that one had not pre-booked. It was very energising to see such commitment and enthusiasm from both leaders and participants, and I also gained much from the stories and individual conversations, ministry, and friendships which always contribute to making these Quaker events entirely worth attending. 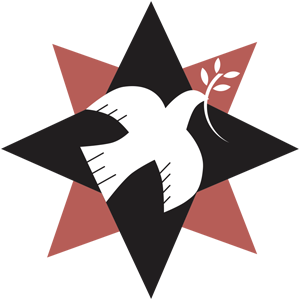 campaigning on behalf of Quakers, running peace building projects abroad. It offers a source of resources and help available every to every Meeting, enabling and encouraging and informing. Twitter accounts worth following include @EarthEconQuaker, @DisarmQuaker, @PeaceEduQuaker, @AfricaQPSW.